Our planet is filled with a rich variety of animals, insects, plants and natural habitats. It is important that we conserve and protect them as they provide us with a wide range of benefits, essential to our general wellbeing.The interests of future generations also depends on how well we protect and take care of our natural environment and the species that live within it. Nature and wildlife also deserve care and protection because of their inherent value and worth. They provide us with food, medicine, fibre and fuel. They act as living laboratories for our scientific and educational studies. They serve as a source of inspiration for our cultural and social activities such as music, art, literature, photography, sport and drama. Much of our leisure and recreational activities like walking, sightseeing, rambling, cycling and boating are centred around nature and wildlife. Some find spiritual meaning and fulfilment when they interact with wildlife and nature. Nature has its ways of cleansing and regenerating itself. 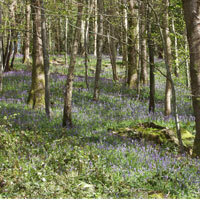 For example, woodlands act a purifier of the air and prevents soil erosion. Insects like honey bees also help in the pollenation process necessary for our agricultural processes. Other wildlife also contribute to the proper functioning of our natural environment by replenishing oxygen and taking out carbon dioxide (C02).